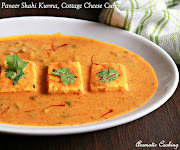 I make paneer at home, at least once in 2 weeks, since my daughter likes it very much and mostly instead of doing a curry with paneer alone, I cook it along with some vegetable. I usually add capsicum, peas, spinach or even cabbage, this time I wanted to try it with eggplant/brinjal. Sauteing the eggplant and then mixing in paneer pieces would have worked too, but I made a curry with grilled and mashed eggplant and paneer. At home, we like the smoky flavor from the grilled eggplant, if you don't like it then peel, cook and mash the eggplant. 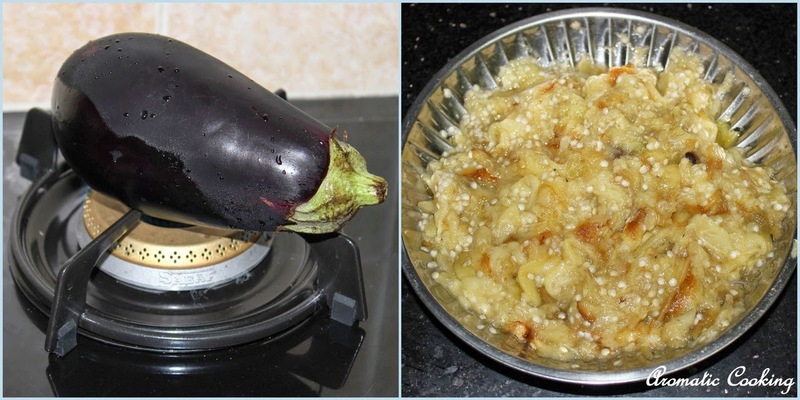 The curry was delicious with a nice flavor, we had it with rotis but it would go very well with naans or even with some light pilaf..
Roast the eggplant directly on fire till the skin is charred completely, cool it, then peel the skin and mash the eggplant and keep. 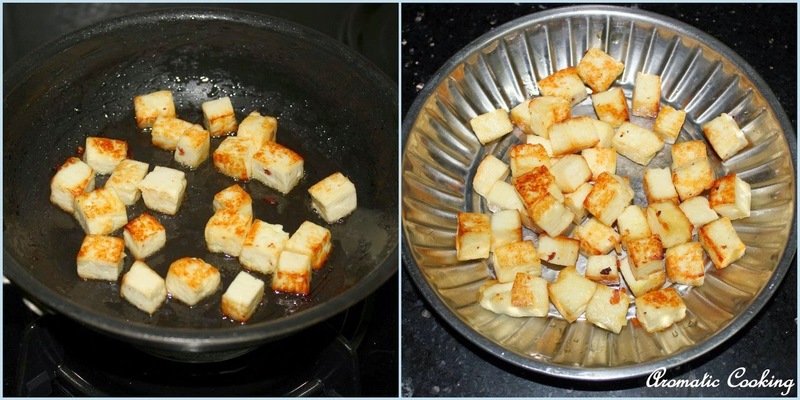 Shallow fry the paneer pieces in a little oil, remove and keep. 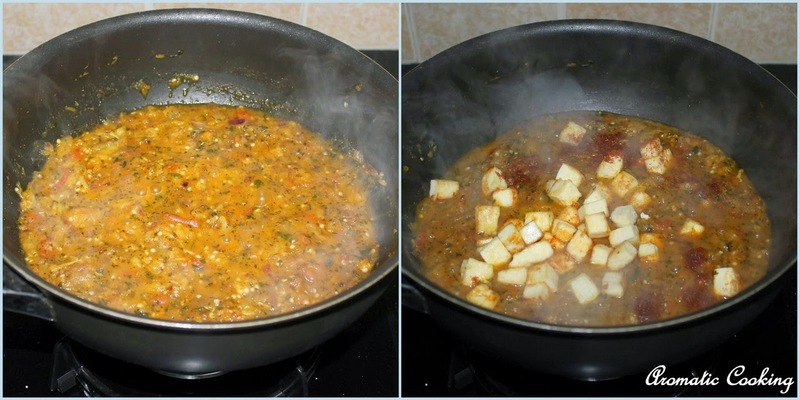 Heat some oil, add the cumin seeds and fenugreek seeds, when it starts sizzling, add the chopped onion and grated garlic. Saute till the onions turn pink and the garlic gives a nice smell, then add the tomatoes, kasuri methi and saute for a minute. 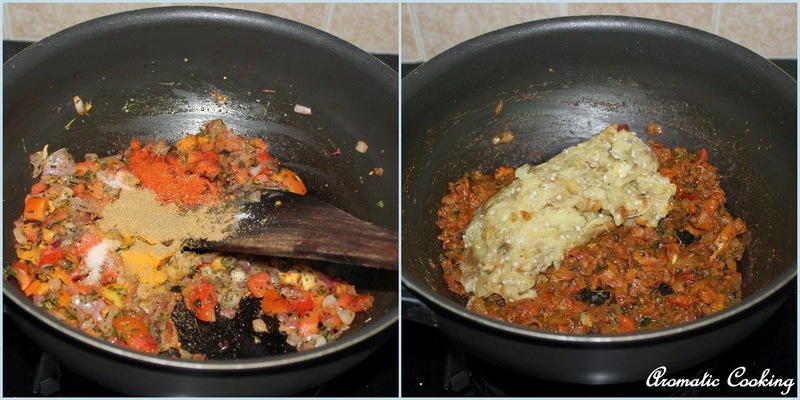 Add the turmeric powder, chilly and coriander powders and salt and saute till the tomatoes break down and become mushy, then add the mashed eggplant and mix. Add about 1 cup of water and cook for about 5 minutes. 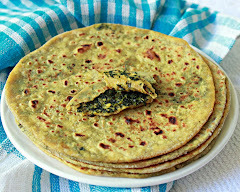 Then add the paneer pieces, garam masala and cook for another 5 minutes, garnish with some more kasuri methi, remove and serve. 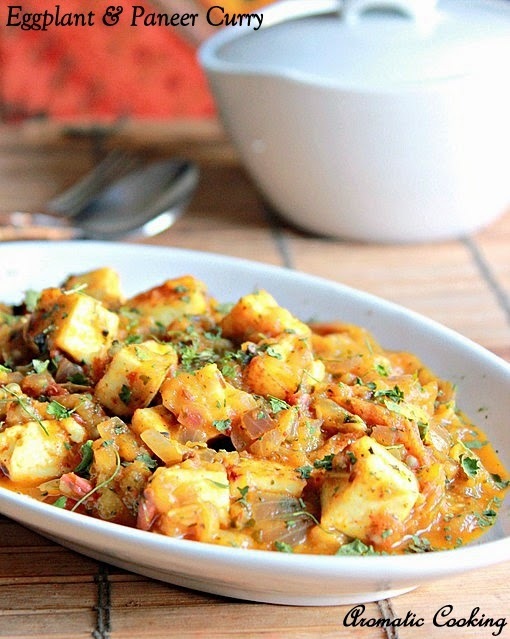 Don't over fry the paneer pieces, they'll turn tough. 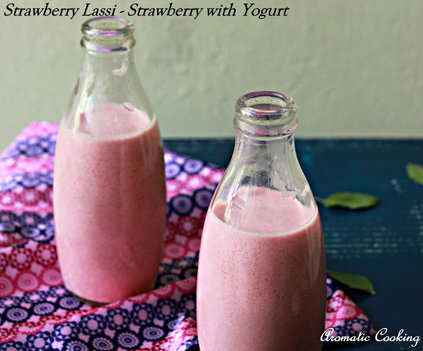 You can add some fresh cream at the end to make the curry richer. 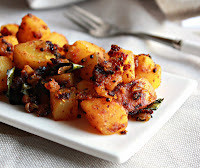 interesting combo Hema looks yum! I love curries with naan, this looks amazing! I'm not a fan of eggplant so I'll probably switch it out, yum! 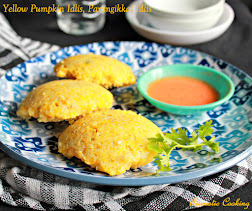 New combo totally ,but luks Gud to..must try next time. A well prepared curry hema..Healthy for kids. 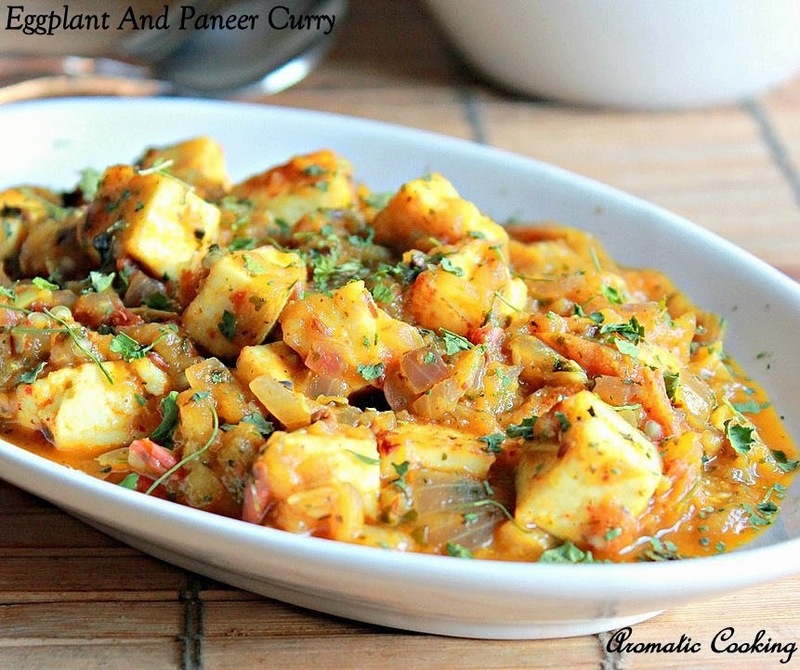 Brinjal and Paneer - an interesting combo ! Looks good Hema. I loved the clicks too..